Mobile payments startup Square has confirmed that its Square Stand, a piece of hardware that helps turn an iPad into an upright point of sale device, is now available to buy from Apple retail stores and Best Buy outlets in the US for $299. The announcement comes just days after reports speculated that the stand would be made available to purchase via Apple’s physical stores from today. In addition, Square says that “interactive product demos” will be set up in 1,000 Best Buy stores across the country in the coming months to give merchants a sample of what’s on offer. 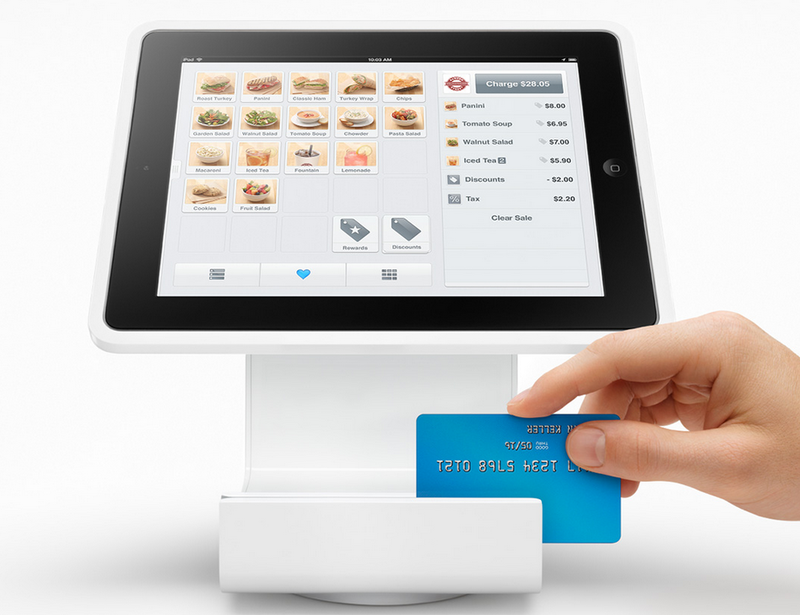 The Square Stand was unveiled by company CEO and co-founder Jack Dorsey in May as a piece of hardware that turns an iPad into a fully-functioning point of sale machine. In addition to docking an iPad, it includes a card swipe function for taking payments. Speaking at the time, Dorsey said it would not only be available online, but via Best Buy stores and other select retailers. The fact that Square is working with Apple to distribute the product makes perfect sense, since the company’s app is available for iOS only — and that provides a huge incentive for merchants to buy iPads over tablets from Apple’s rivals. It isn’t just the stand that is being made available to more Square merchants. The company is making third party accessories — including cash drawers, receipt printers and barcode scanners — available via the dedicated Square Stand page on its website. Pre-orders are open now and purchased items will ship to customers this week. To date, Square Stand has been tested by 14 selected Square retailers in the US who have had the product since May.